Card for any occasion greetings card. Playing it cool? 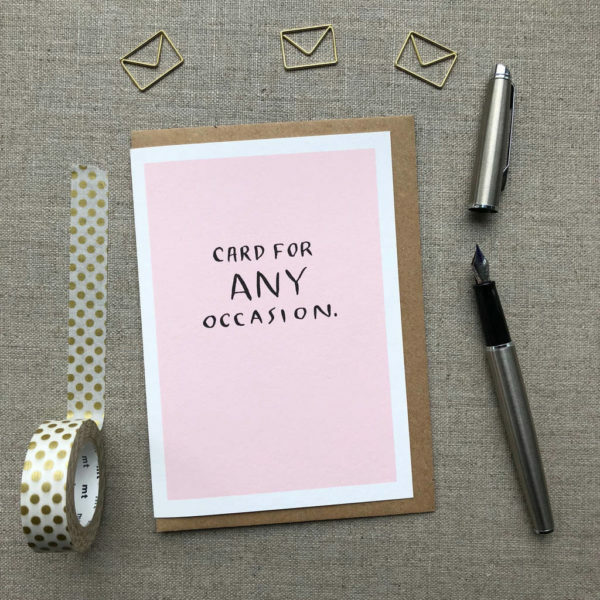 Or literally want to have a card handy, for any occasion. Then this is the one. Say it with class, say it with style, say it with indifference. Blank inside for your own message.